We typically eat out 2 to 3 times per week since most of the meals I make are healthier and much cheaper, so this was an exceptional weekend. It was totally worth it though. I love exploring new places through food. In fact, I think I’m going to make a restaurants page on the blog for all of the cities I visit. Right after work on Friday I made the 2 1/2 hour drive and arrived in Wilmington around 8pm. I realized how much I missed Derek as soon as a saw him. It’s a bit corny to say, but everything about my life is brighter with him in it. He gave me a quick tour of the apartment he’s staying in and then we headed out for dinner. We were both famished! We went to one of my favorite restaurants in Wilmington. 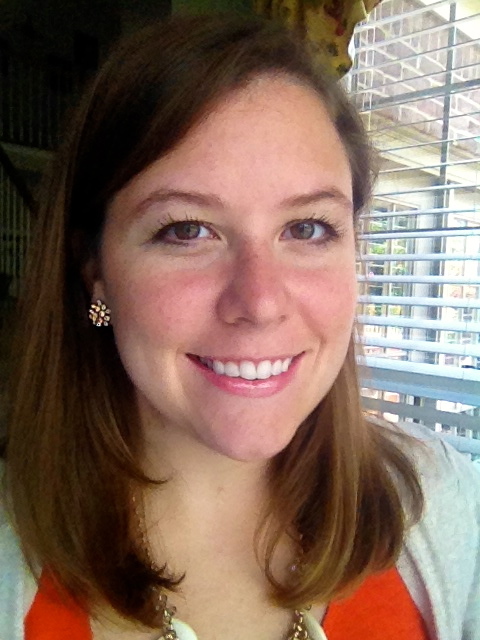 My best friend Jenna went to college at UNCW, and she introduced me to Indochine when I visited her. Indochine has the best Thai curries. The panang curry is the bomb.com. It was past 10pm by the time we finished dinner, and we passed out as soon as we got back. After a night of blissful sleep, we spent Saturday morning catching up and being lazy. 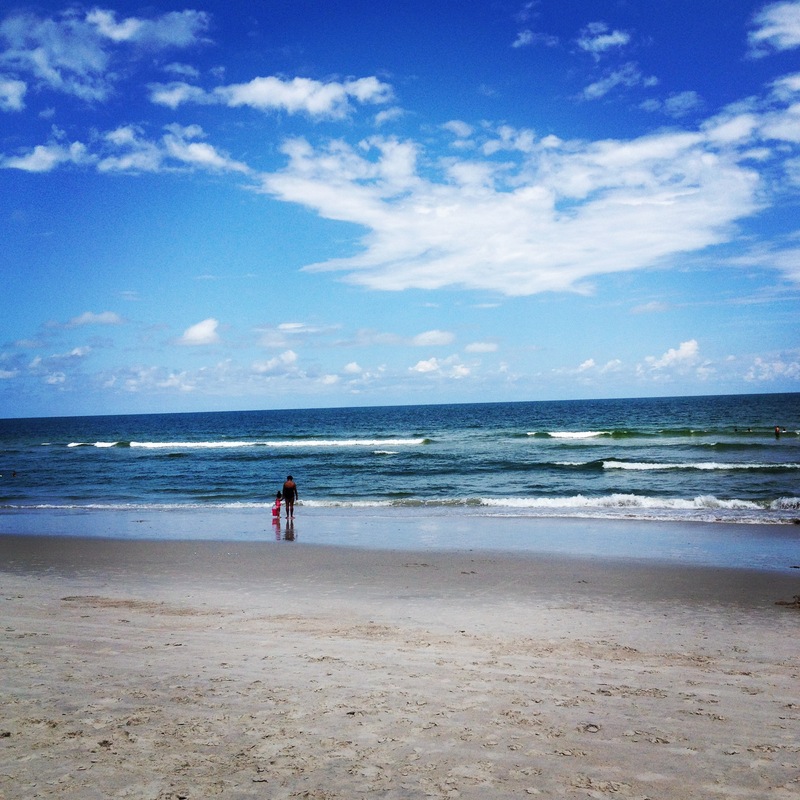 We eventually decided to grab lunch and head to the Carolina Beach, which is only 20 minutes from Derek’s apartment. We picked out a restaurant at random, and boy did it turn out to be a good one. We went to Surf House. 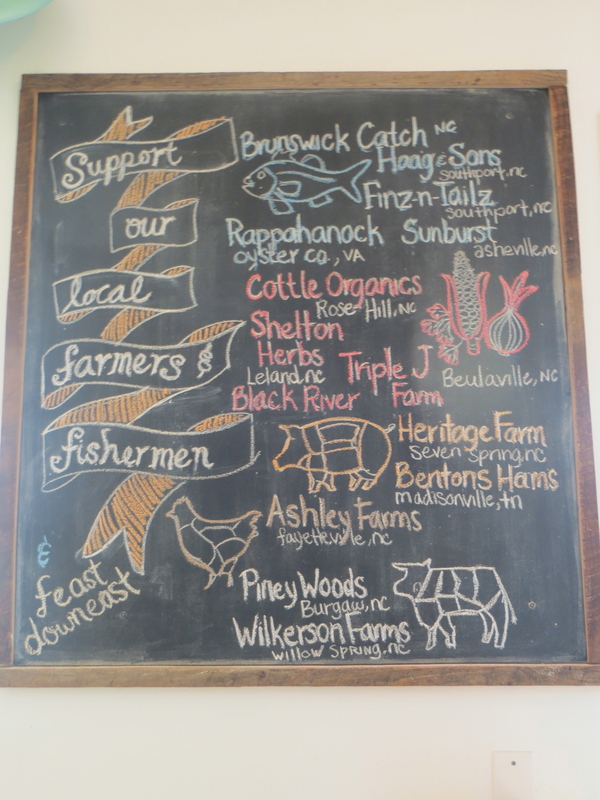 Not only was the food fresh and delicious, the restaurant focuses on using local, sustainable foods. 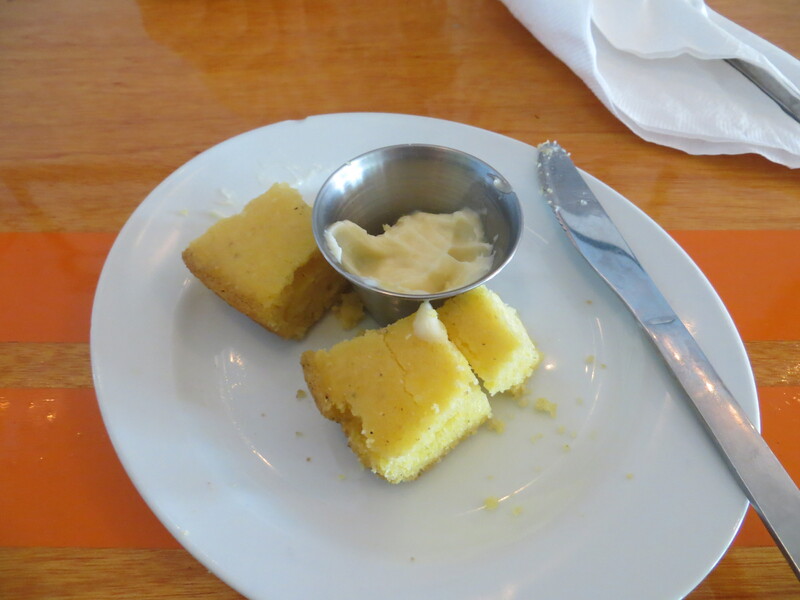 We started with corn bread and honey-bourbon butter. I’m originally from Kentucky, land of bourbon, so we couldn’t resist trying it. Honey + bourbon= always a winner. Derek got the shrimp BLT. 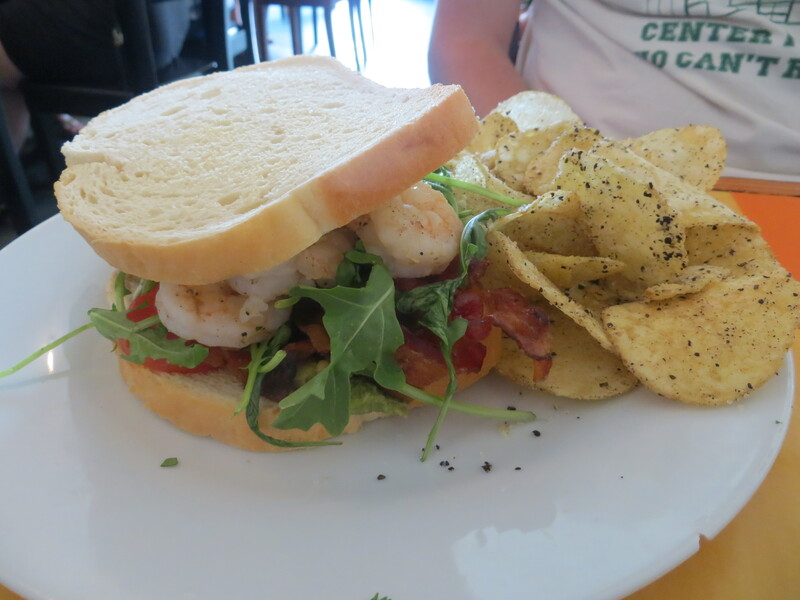 I tried a bite of the sandwich, and the shrimp was much better and more flavorful than anything I get at the grocery store. Surf House also makes their own salt and pepper chips, which were very tasty. 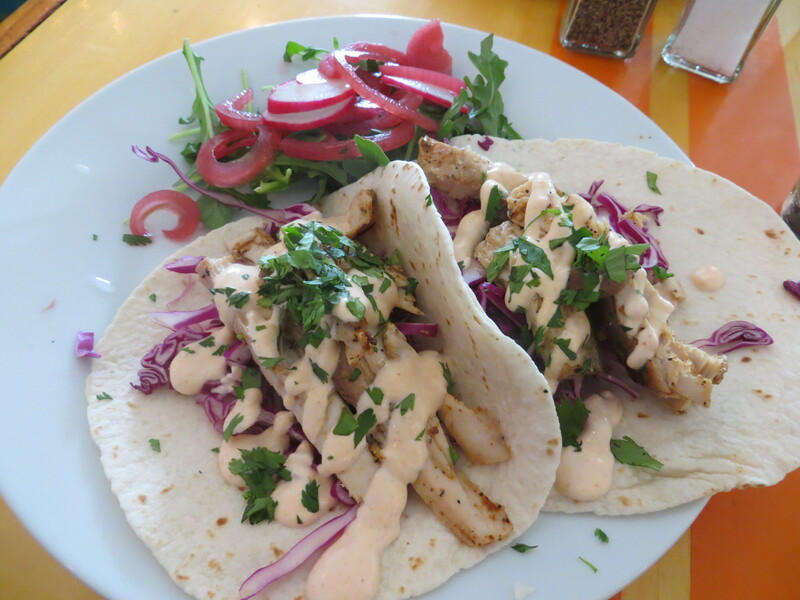 I got the fish tacos with grilled mahi-mahi. The pickled onions and arugula definitely took the tacos to the next level for me. It makes me want to experiment with pickling. 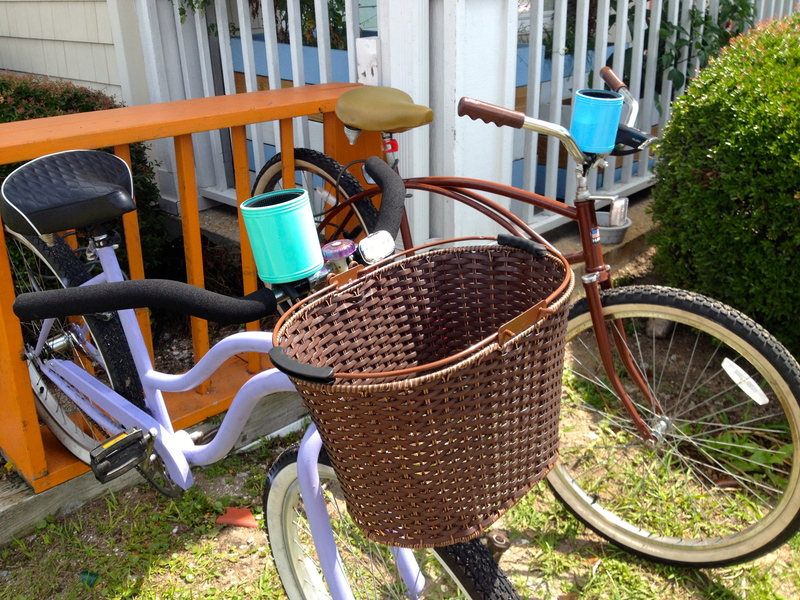 We saw these bikes outside the restaurant. Love the koozie holders! After the scrumptious lunch, we hit the beach. The weather was gorgeous, and we spent the afternoon swimming, reading books, and going for a walk. 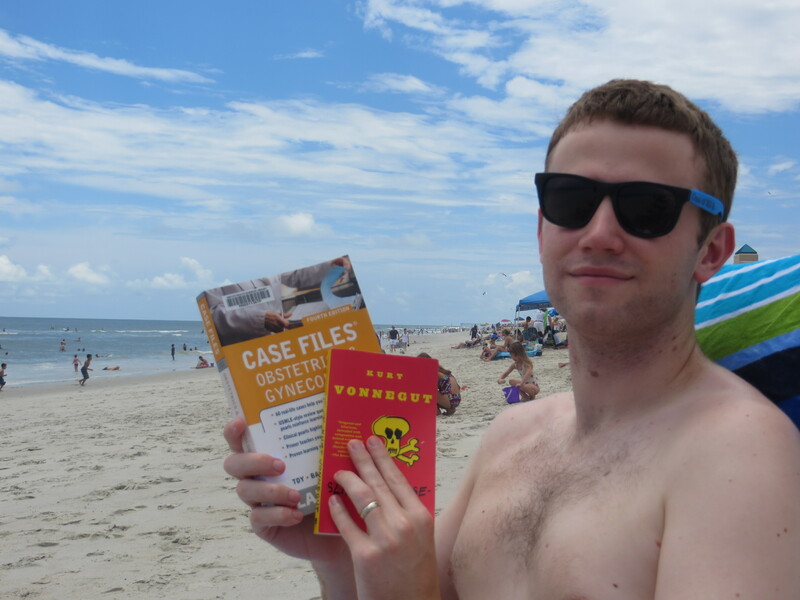 Derek’s light reading includes OBGYN case files, haha! It was the kind of day that reminds me how lucky I am to live just 2 hours from the beach. On Sunday morning we woke up, made coffee, and watched TV on the couch. It’s the simpler moments like drinking coffee together in the morning that I miss the most when Derek’s gone. I’m thankful for that time this weekend. 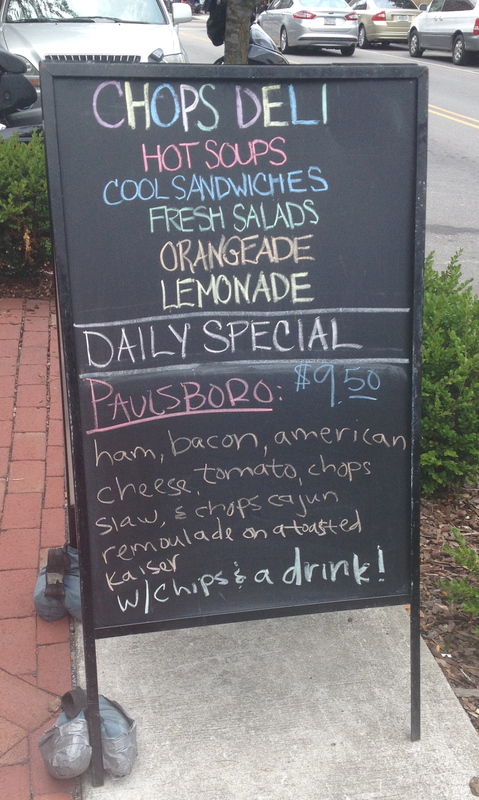 Before I headed back to Durham, we got lunch at Chops Deli in downtown Wilmington. I cannot say enough good things about this place. The owner is personable and kind; he goes out of his way to greet and thank every customer for coming in. Chops Deli also uses local produce and eco-friendly products. The plastic cups we got were made of corn and can be used for compost. Besides the friendly staff and a sustainable/local focus, I ate on of the BEST sandwiches I’ve ever had. I’m not exaggerating. It was amazing. 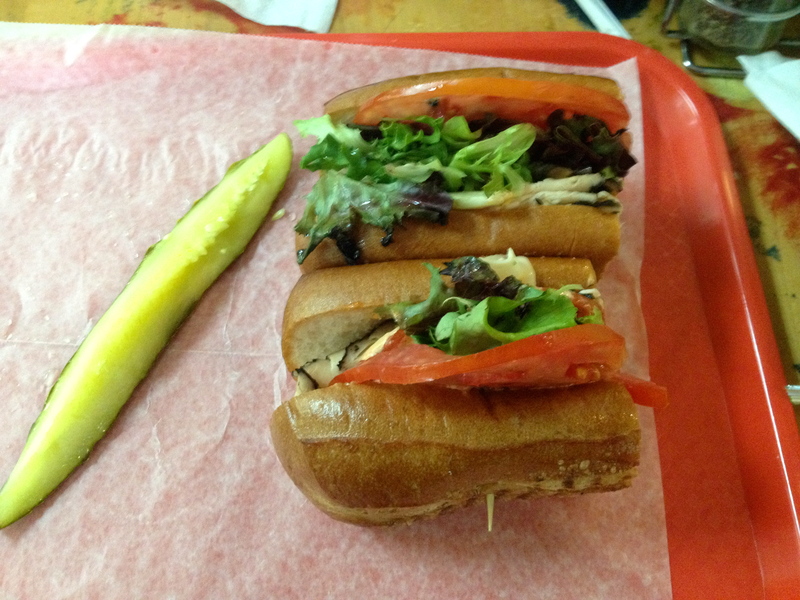 I got the Marseille, which comes includes the following components: maple glazed chicken, french brie, spring mix, tomatoes and cajun remoulade, on a French baguette. SO GOOD. You need to try it. I packed up and headed back to Durham after lunch. I was sad to leave, but I’m looking forward to Derek coming to Durham this weekend. It’s been a busy week thus far, and I know it will go by fast!